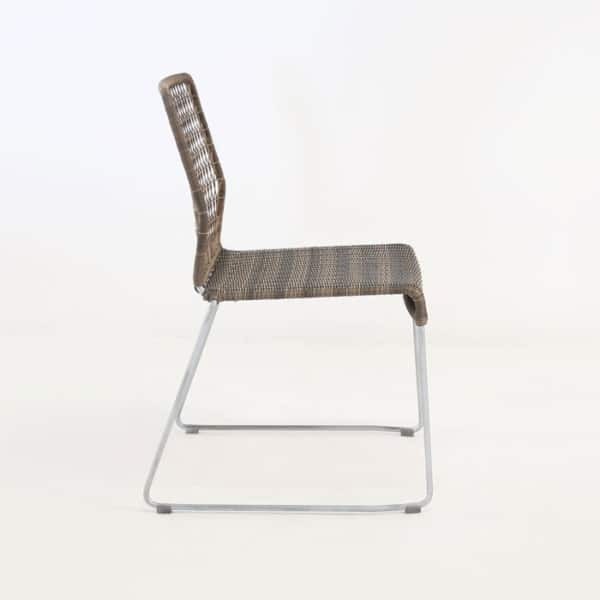 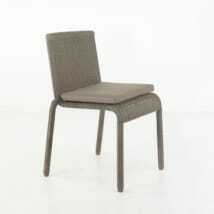 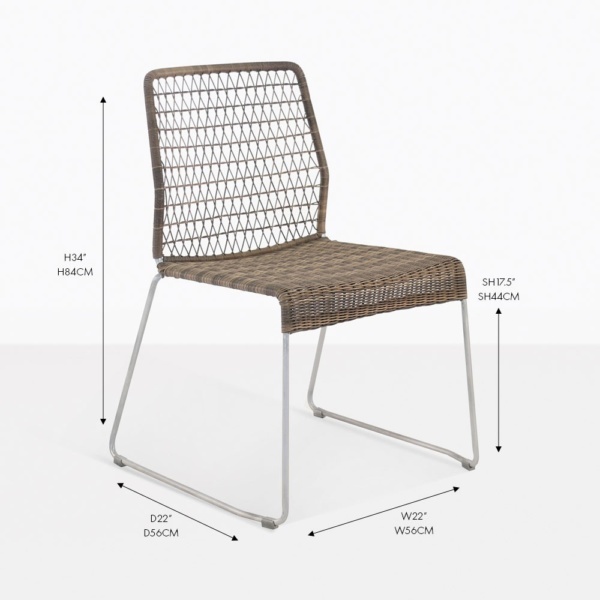 The edge side chair is clean, sophisticated and uncluttered. 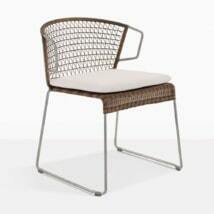 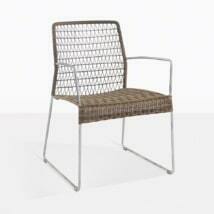 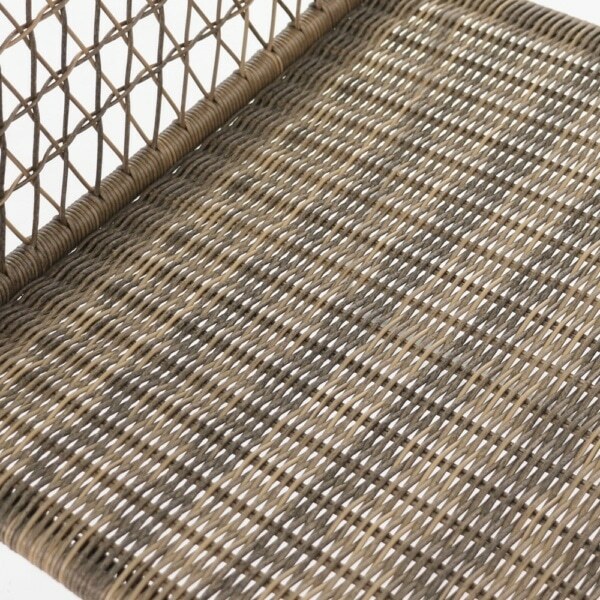 the gorgeous thin structure suffers no loss in strength, due to the steel frame and the tight woven wicker seat. 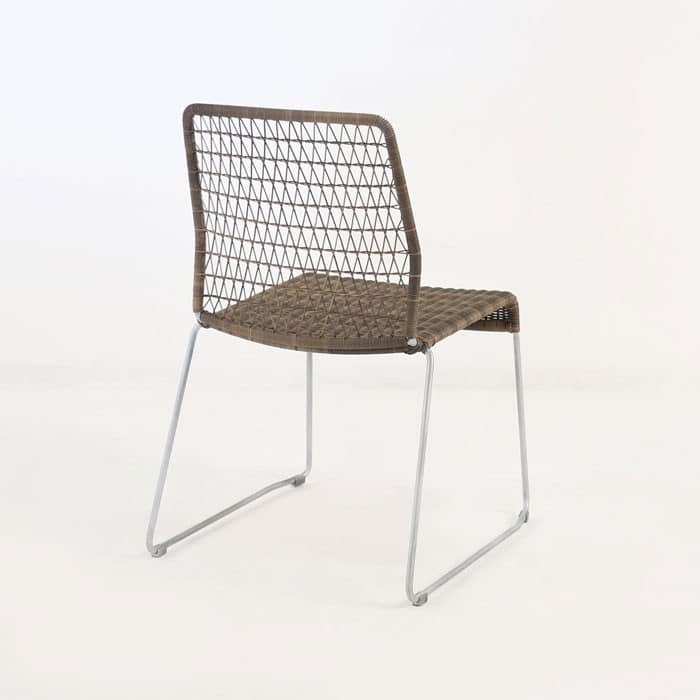 The looser weave on the back of this super modern side chair gives it a certain approachability that begs for you to use it. 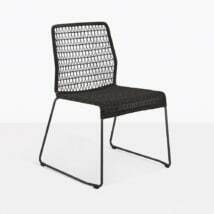 The small footprint of this stunning chair is perfect for cozy settings, while still portraying big impact and a modern vibe. The Sampulet color on the wicker is a perfect contrast to the zinc galvanization on the frame, but more importantly, the combination is a perfect contrast to everything. 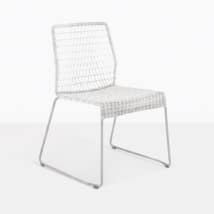 This means it doesn’t matter what you put this chair next to, or what table you pair it with, the edge side chair is a gorgeous compliment.